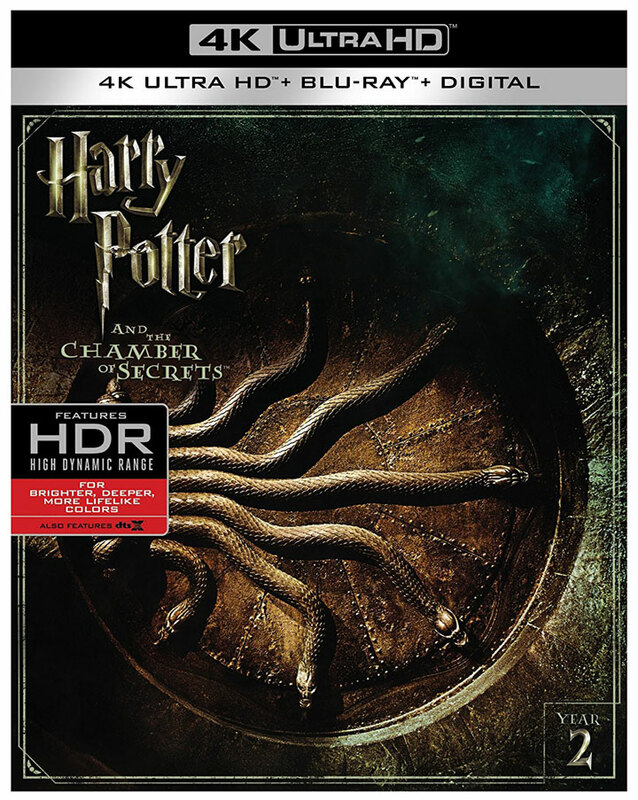 The last four Harry Potter films in the franchise were previously released to 4k Blu-ray in March, and now the first four films are officially slated for release on Tuesday, Nov. 7. Those titles include Harry Potter and the Sorcerer’s Stone (2001), Harry Potter and the Chamber of Secrets (2002), Harry Potter and the Prisoner of Azkaban (2004), and Harry Potter and the Goblet of Fire (2005). 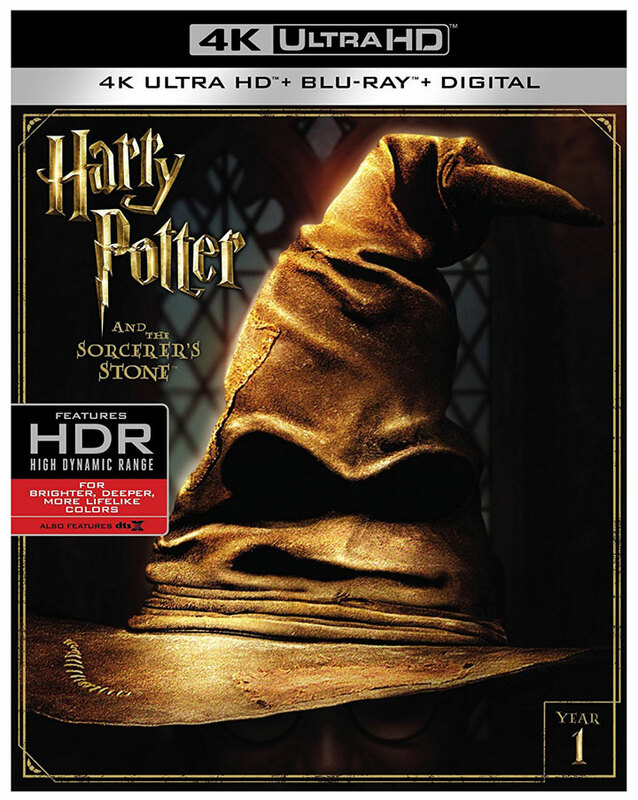 On 4k Ultra HD Blu-ray, the Harry Potter films are presented in 2160p resolution with High Dynamic Range (HDR) color enhancements using the HDR10 specification. Note that only 4k TVs that support HDR will display the increased color depth and contrast. The soundtracks have been formatted in object-based immersive DTS:X audio, backed by DTS-HD Master Audio 7.1 for systems that don’t support DTS:X.
Extras on these 4k titles are the same as previously released to other disc editions, but are not presented in 4k or HDR. 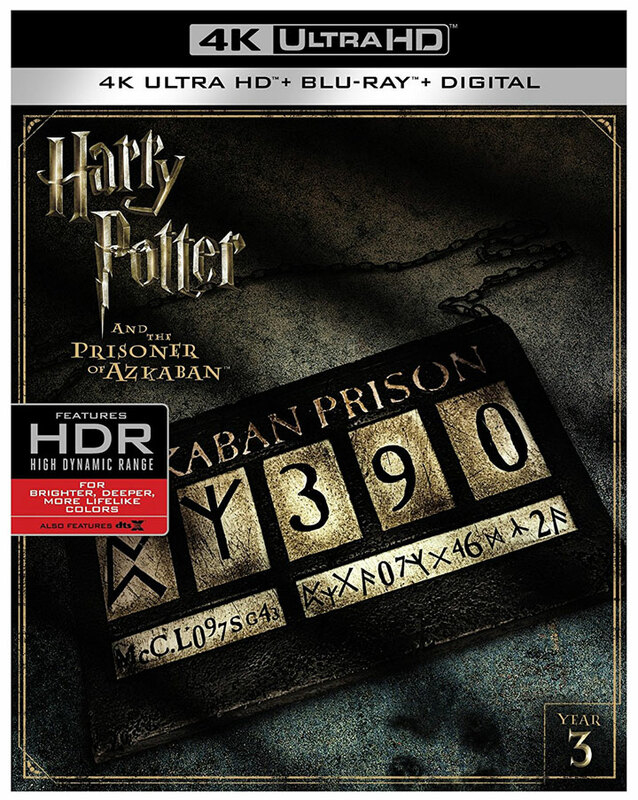 The 4k Ultra HD Blu-ray combo editions also include Blu-ray and Digital HD copies of the film, redeemable with UV (sorry not iTunes) by Dec. 31, 2018. 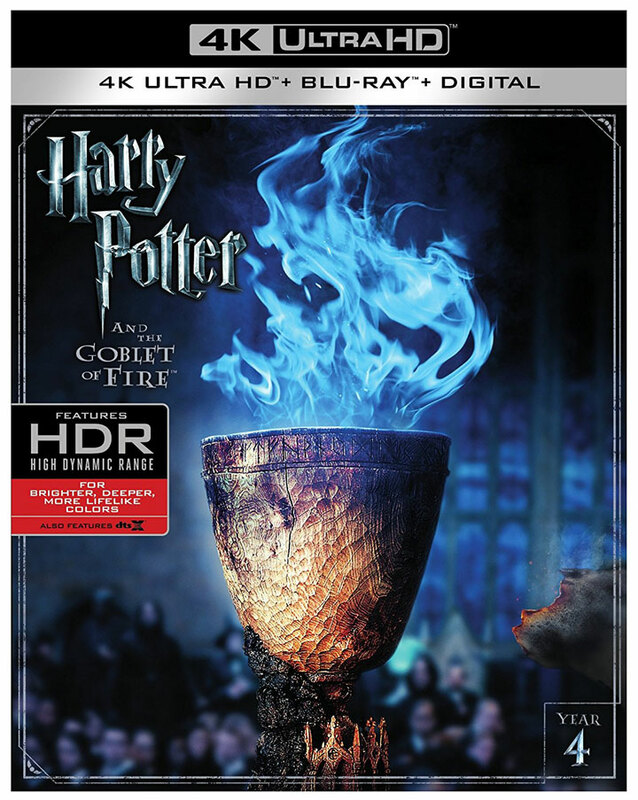 The Harry Potter 4k Blu-ray titles are list-priced at $41.99 each, but can currently be pre-ordered for $27.99 (see below for updated pricing).